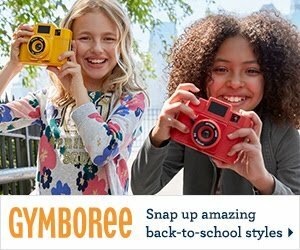 This Gymboree Back to School post contains affiliate links and I will be compensated if you make a purchase after clicking on my links. I was compensated for this post. It’s the end of July, and that means schools will be starting up again soon. Time to start thinking about back to school clothes and more. On a budget? That’s OK, you can save up to 70% Off at Gymboree Back to School sale! You don’t want to miss it! You will find all sorts of cute items in the Shop Gymboree’s Back to School Collection!, including tops that start at $6 and dresses starting at $12. The Back To School Dress Shop has so many adorable dresses, it’s hard to choose just one! 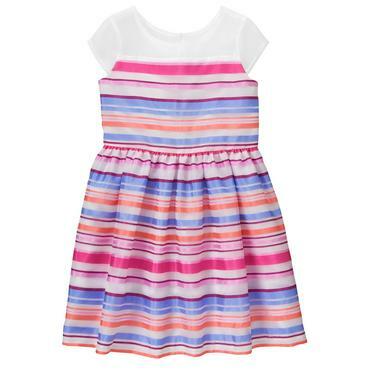 My granddaughter would look so cute in this Girls Poppy Pink Organdy Stripe Dress. Oh we can’t forget shoes! 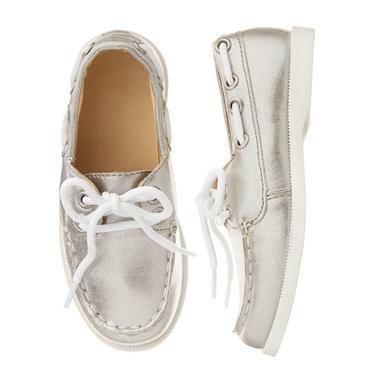 Aren’t these Girls Silver Boat Shoes for $11.99 cute? Check out all of the shoes on sale right now, with lots of choices for under $12! I hope you find some cute school clothes for your little one at the Gymboree Back to School Sale!